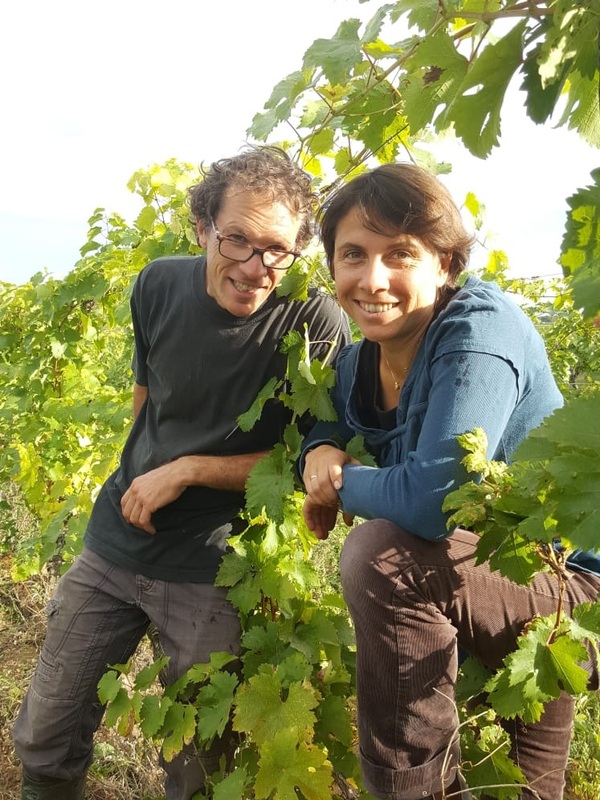 Melanie, from Paris, and Aymeric, from Saumur, are first generation winemakers; they met while studying at the Agronomic School of Montpellier. In 2006, they established Domaine Melaric (a weaving of their names) at the Chateau de Baugé, near the village of Puy-Notre-Dame. Their first two vintages were from rented vineyards and some additional purchased grapes. In 2008, they purchased four hectares of vineyards in Saumur Puy-Notre-Dame with advice from Philippe Gourdon (Château Tour Grise). The vineyards of Saumur Puy-Notre-Dame are in an extension of the Layon Valley, and the chalk hills provide the shallow soils, good drainage and exposure required by late ripening varieties like Chenin. This area marks the transition from the sedimentary rocks of the Paris basin (limestone Saumur) and the metamorphic of the Armorican Basin (Anjou schist). Intense, seductive and pure, the tannin has become fine and integrated. Just becoming the correct age to drink, still with the ageing potential you expect from Cab Franc.